As a nurse at Vancouver General Hospital, Bonn-Tien Mark provides post-surgical care to patients with cancer and other serious illnesses. For Bonn-Tien, a Bachelor of Science in Nursing grad, doing her job well requires more than just excellent medical knowledge and skill. It’s also about having compassion and attending to her patients’ emotional needs. “It’s a privilege to be able to help people that are in such vulnerable situations,” she says. While Bonn-Tien is passionate about her hospital work, she is also deeply motivated to help people in developing countries. She recently travelled to Haiti to volunteer in a trauma hospital. While there, she helped to provide emergency care to patients injured in serious accidents. Nurses and other health care workers are in high demand across the province, Canada and the world. 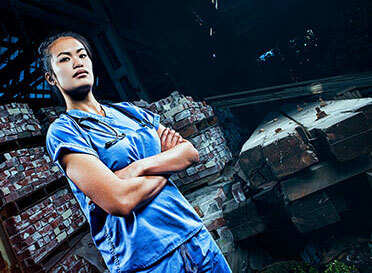 In the Vancouver Island/Coast and Thompson-Okanagan regions, nursing has more job openings than any other occupation. Find out more about the Bachelor of Science in Nursing program at an info session.